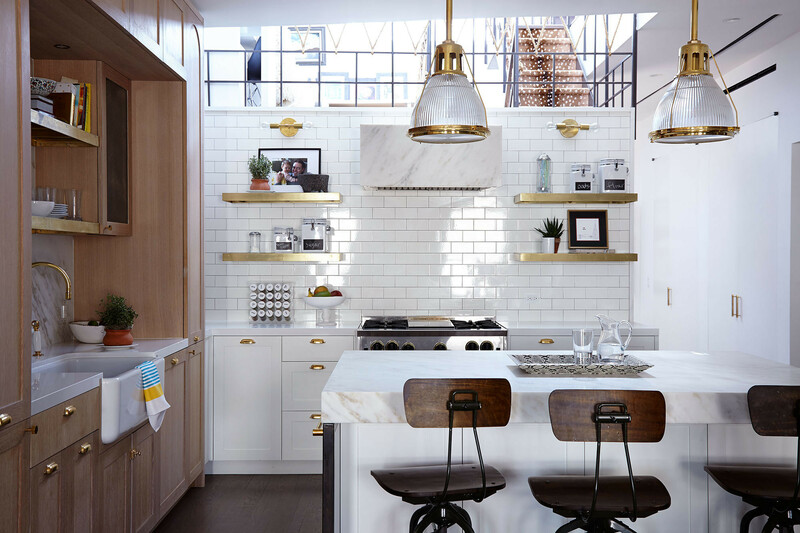 The custom kitchen by Studio DB in a Tribeca, New York City, loft, which was designed by Jenny Vorhoff. Every seat needs somewhere to rest a drink,” says interior designer Jenny Vorhoff of New York–based interiors firm Studio Riga, drawing from the genial charm of the gracious mansions in her native New Orleans. “Family, friends, and fun. Those are the key ingredients in planning a home.” With a background in hotel design as well as a proficiency in Southern hospitality, Vorhoff has spent the better part of a decade devising dramatic yet functional residences in New York City, a place where the tight quarters can make achieving both a challenge—albeit one Vorhoff is always happy to accept. 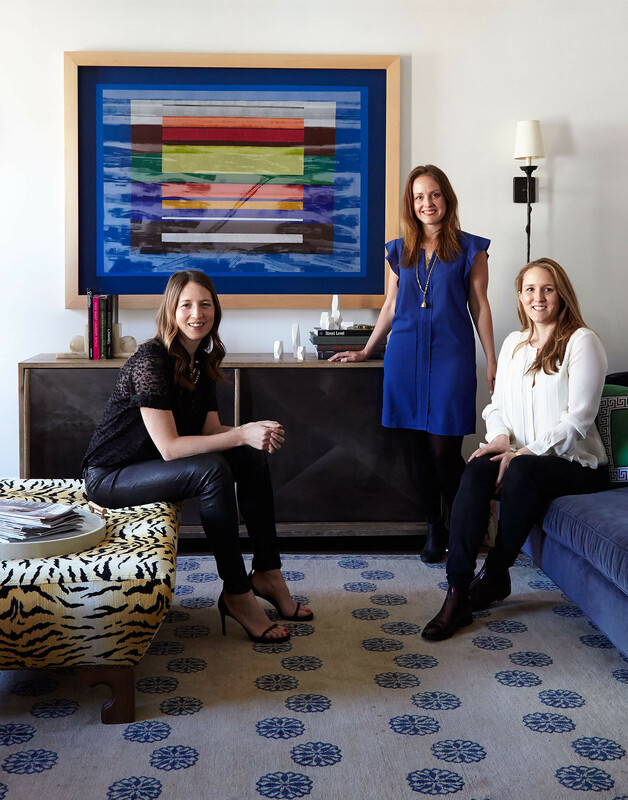 Interior designers Jenny Vorhoff and Britt Zunino and Kate Gray in the living room of their completed Tribeca loft project. 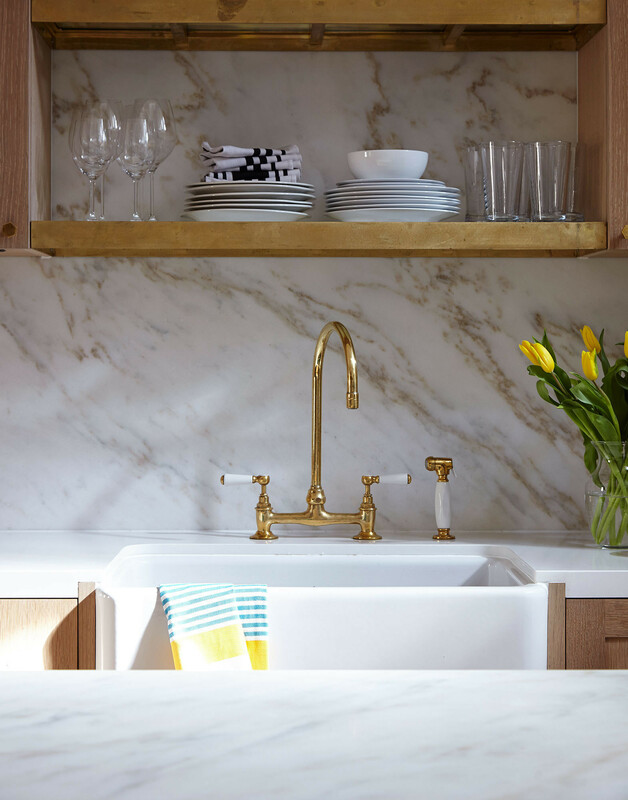 A brass-and-ceramic faucet by Barber Wilsons and Rohl farmhouse sink blend with white Celador outer countertops. 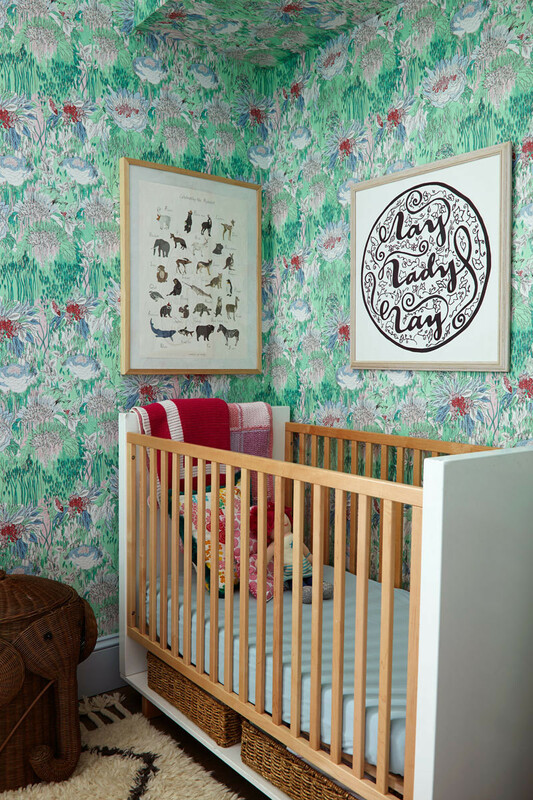 The designer approached a young family home in Tribeca with similar gusto, striking a distinctly American middle ground between the tastes of client Allison O’Neill and her husband, while ensuring each selection made practical sense for the use of their two small daughters. “She’s from Philly, he’s from Michigan, and they have this life together in New York,” Vorhoff says. “When it came down to it, that was our influence throughout the project.” From the subject matter of the living room artwork, which the couple picked up on a SoHo stroll to a preference for shopping American manufacturers, a subtle patriotic bent is seen throughout the space. 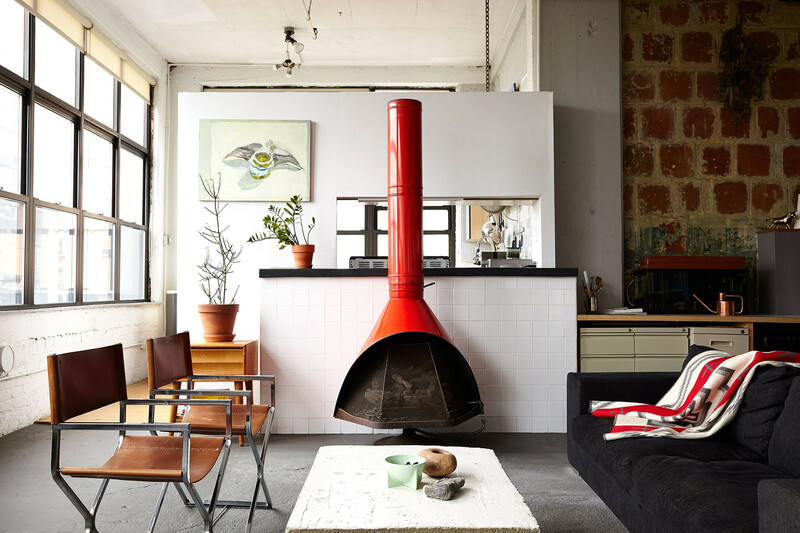 Before any aesthetic choices could be decided, however, the traditional loft layout needed some alteration to accommodate a growing household. 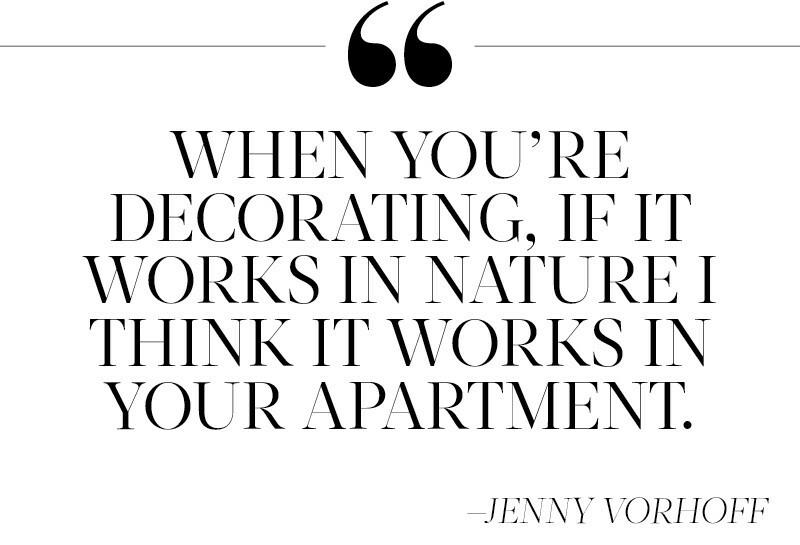 Fortunately, the 2,000-square-foot apartment had great bones. Architect Damian Zunino and interior designers Britt Zunino and Kate Gray of Studio DB added two windows and a partition on the unit’s western wall, which made possible two light-drenched kids’ rooms with views of the Hudson River, all the while maintaining a master suite across the back of the flat and a living area up front. Built-ins by Dado/J Thomas Construction add warmth in the kitchen. 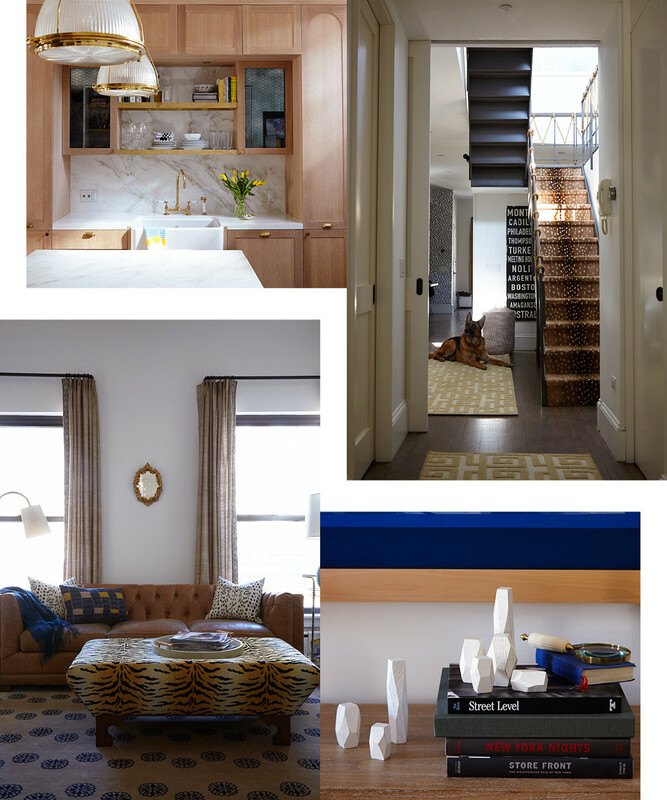 An adjacent antelope-patterned stair runner ties into the room’s tawny color scheme. Faceted Fort Standard balancing blocks rest atop a hardwood and resin sliding-door cabinet from Oly Studio. A tufted leather sofa from the Cobble Hill collection at ABC Carpet & Home is accented by Etsy throw pillows and custom draperies. Blue trim grounds the floral Tres Tintas wallpaper—purchased at Studio Four—in the nursery. 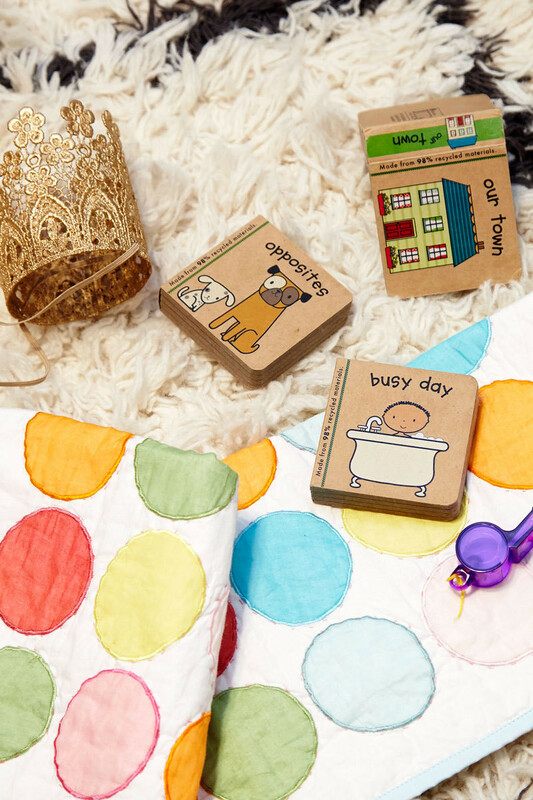 Ample sunlight, plush rugs, and comfortable furnishings allow the nursery to double as a play space. While functionality was key, Vorhoff was keen to find a place for luxurious surfaces such as marble. “We tell clients the Italians have been baking pizza on marble for centuries,” she says. 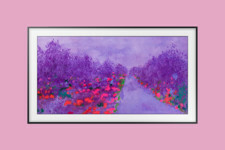 “It’s more durable than I think it’s been getting a rap for lately. If you’re reasonable about cleaning up, it will stay nice and clean.” The same holds true for leather’s wearing process. 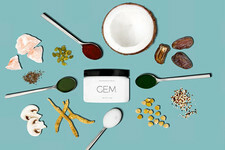 “The more you use it, it deepens and patinas,” she says. 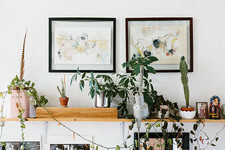 “It’s a natural material, so that’s part of the beauty.” The combination of sleek and rustic, sturdy and delicate results in a home that feels comfortable and lived in but also sophisticated, with a distinct point of view. 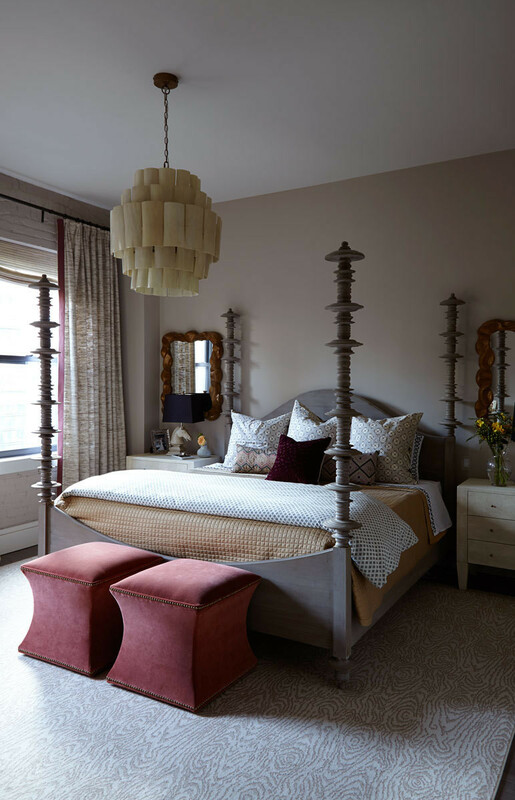 In the master bedroom, color is restrained to a more monochromatic, textured feel than elsewhere in the home. 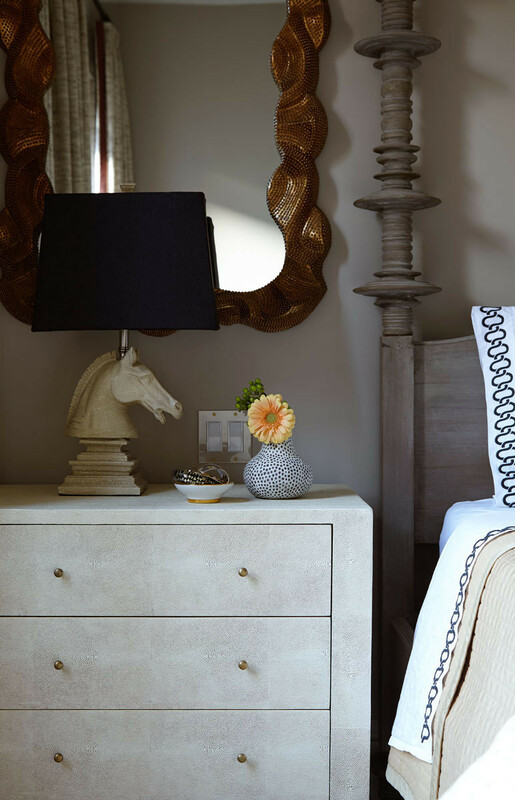 Faux shagreen nightstands from Made Goods offer a luxurious yet durable surface. A beaded mirror detail echoes the distinctive finish. 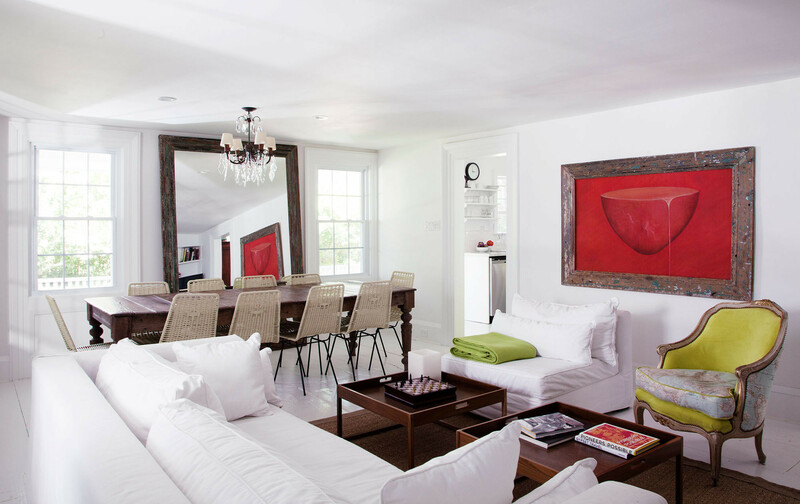 Interior designer Will Wick blends a California-cool aesthetic with age-old European details. 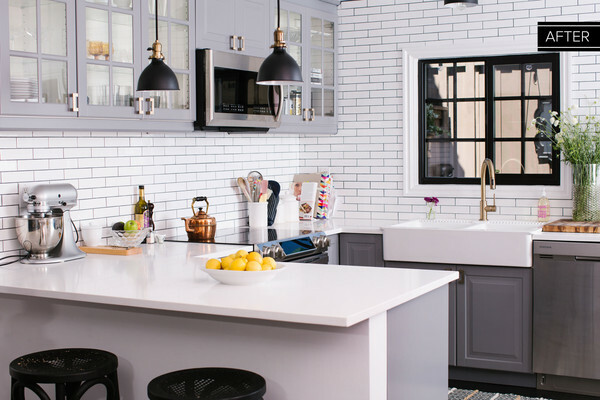 A smart black-and-white makeover inspired by a London townhouse.